Give yourself and your family a much deserved break this New Year at our unique homestays with unmatched hospitality. You will surely come back rejuvenated, ready to kick-start 2019. Stay at 17th century fort, built by Thakur Ganga Singh that is now the home to his descendant Thakur Giriraj Singh Lotwara and experience the Rajputana lifestyle. Invincible boundary wall, the main porch, rooms built around a courtyard, Kachehri (court) which is still used to meet common people of the village and Chhatries on the top make it a complete Rajputana residence. Giriraj Lotwara ji is a learned person with special interest in history. Socially very active he also is the President of Shri Rajput Sabha, Rajasthan. A talk over evening tea with him can give you an insight to the culture and lifestyle of Rajasthan and Rajput clan. Spend a few days in the lap of nature staying in a traditionally built cottage style home nestled in an apple orchard. 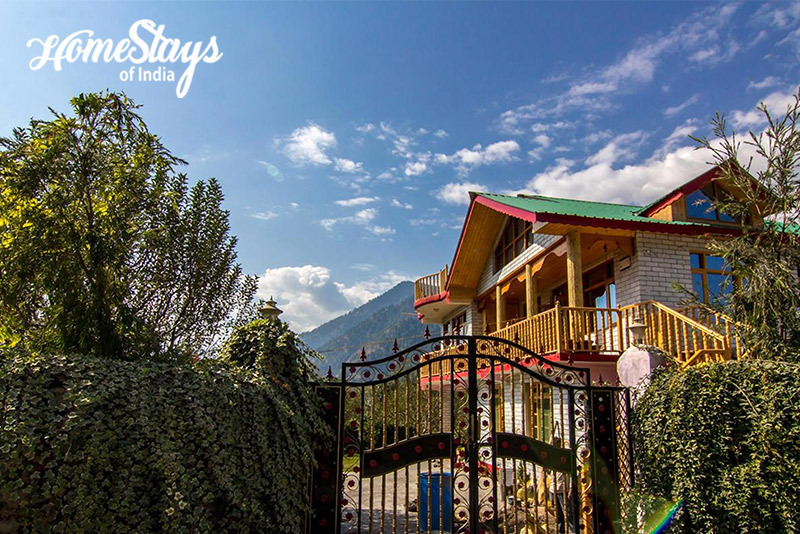 The cool breezes gently kissing your cheeks, the fresh unpolluted mountain air filling your lungs, and the enchanting views of pines and snow clad hills that you had always seen in paintings – this is exactly what you get to experience at this gorgeous home in Manali. And there are chances that you wake up to snow white mornings. How’s that for the very first morning of 2018! Points of Interest: Jogni Water fall, Mall Road, Hadimba Temple, Monasteries , Van Vihar, Wild life sanctuary, Sajla Water fall, Soyal village, Heritage Viilage Nagar,Jana water fall, Hamta Pass. 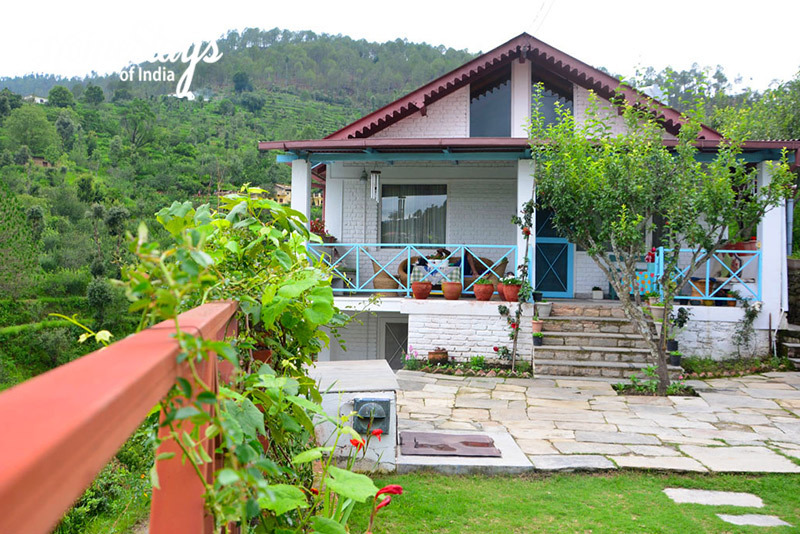 Tucked away on a hill, this tastefully done bungalow is the place you want to be at if you want to spend some quiet time with yourself or your loved ones. The quaint rooms perfectly accessorized with the most beautiful home accents, lovely well decorated and comfortable corners to relax or to chat, a huge music and books collection, the warm host and the ever-smiling and helpful staff is all you need for your new year break to be perfect. It is located in Sunkiya village, a quaint little village with fields, mountain streams and seasonal waterfalls. 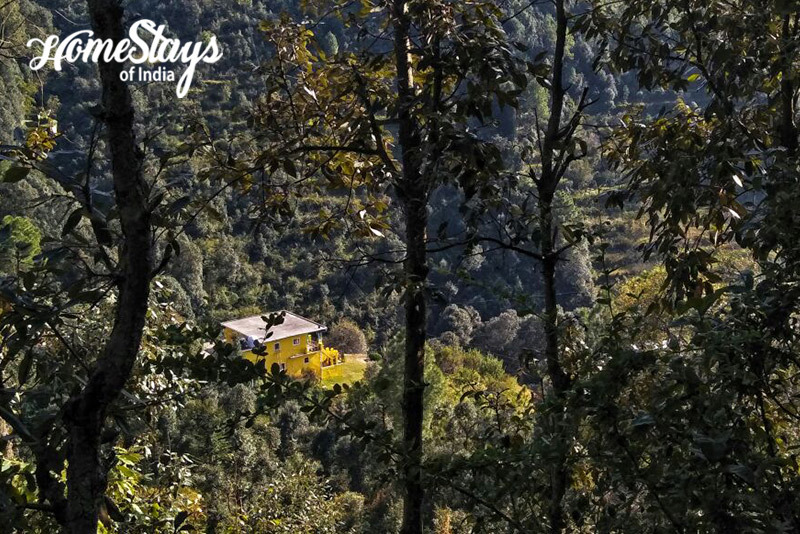 Not just a homestay, it’s a farm stay nestled in the lap of nature. Stay with us for a glimpse of traditional village life, try your hand at farming, participate in cow milking and adopt our organic way of life for a few days. Here time slows down to let you appreciate the little joys of life – waking up to the songs of the birds,watching butterflies dance over flowers, walking along sleepy hamlets, basking with surreal view of terraced fields and gazing at the starts. Points of Interest: Bhalugaad Falls • Mukteshwar Dham Temple • Chauli ki Jali • The IVRI Laboratories • Kapileshwar Temple • Snow Peak view from PWD Rest house. 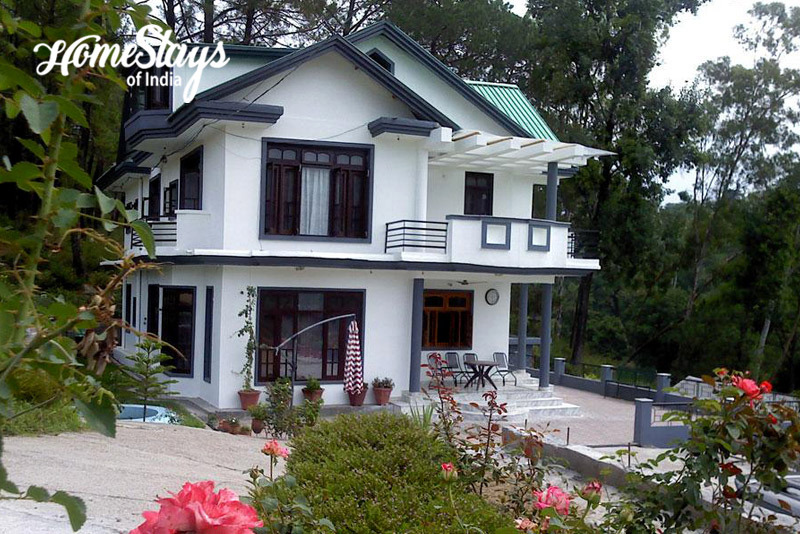 Located in the foothills of the Dhauladhar range of Himalayas, Plampur homestay is nestled in midst of pine forest. Start your days here with morning stroll in the pine forest just behind the homestay. There’s a lot to do during your stay here – try your hand at pottery, enjoy family picnic by the mountain stream or in the woods and go paragliding or boating. Enjoy cool evenings chit chatting with the host and sit around the bonfire playing, singing and dancing.